As a full-service security dealer, SSC provides you with a system that meets local, NFPA 72 and UL code requirements. We can also design, specify, install, provide drawings, parts, tie-in, final hook-ups and any other services involving a commercial fire alarm system. 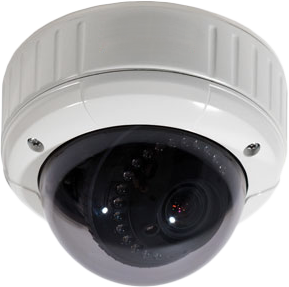 Security Service Company is a long-established leader in reliability, features and service for security systems tailored to customers' specific needs. We invite you to let us protect you and your facility. Want to control your systems remotely? We can help — contact us today! Outstanding access control solutions are just a phone call away. Let us help you manage your facility or multiple locations by caring for the daily reports, changes and other issues that come up; even issuing new user access right from our Central Station. No need to have people spending hours on the access system trying to recall the procedures. SSC will take care of it for you! Everyone wants to see what's going on at their business. With the full line of video monitoring equipment we offer, SSC can help you keep an eye on your business, even when you're not there! Special low-light capabilities and long-term recording make sure you can keep track of everything you should. Remote video viewing, live or recorded, interest you? We can help, whether you want to see it on a television, computer, separate monitor or your mobile device. Ever wonder if the money you spend on a Guard Service is well spent? Are they really making the rounds? We can make sure and report when a check-in is missed or delayed. We can watch those watching your assets. Many businesses have critical processes that need to be monitored. Temperature, humidity, leaks, lines stopping, vehicles coming and going, storage rooms opening, and anything else you may require — if it's important to you and your business, it's important to us. We'll watch it for you. As a stand-alone system or as part of a complete fire alarm system, SSC will provide the needed monitoring services for you. And we can do it without telephone lines in most of our service area! Annual inspection of your fire alarm systems, testing of your sprinkler supervisory devices, checking of your notification devices — these things must be done to insure proper operation and maintain their life-safety aspects, not to mention the protection of your business assets. We'll do it right and give you the reports that the inspectors need. Smoke detectors and heat detectors wear out and can lose their sensitivity, or be broken in the course of normal operations. Regular functionality and sensitivity tests will tell you if your detectors really work.